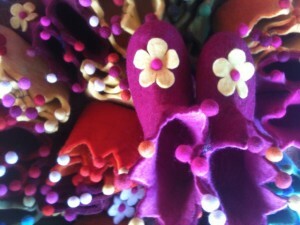 Slippers for newborns, kids, youth and adults. 100% wool felt, bobbles on the ankles, a flower on the toe, many, many great colours. 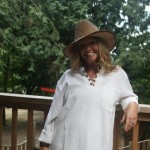 Check the web, www.rainbowroadtrading.com or call us, 250 537 0057, for more details.